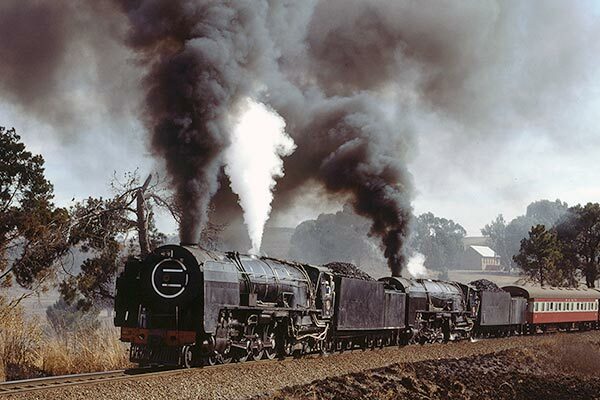 Caption - South African Railways (SAR) 25NC class 4-8-4's 3405 and 3414 leave Fouriesburg with a special passenger train from the Reef to Ficksburg via Bethlehem on Thursday 28th May 1981. The heavy train was well- loaded with passengers taking mine workers home to Lesotho. The train returned empty from Ficksburg to Bethlehem in the afternoon.